What would Christmas be without fudge! 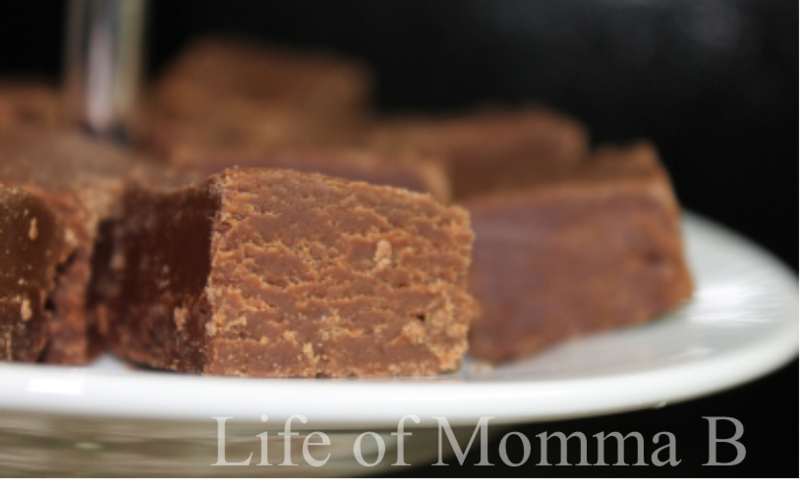 Fudge is one of those food that everyone has an opinion on. microwave vs. stove top (stove top – it has yet to fail me). Combine marshmallow creme, sugar, milk, butter and salt in a large sauce pan. Bring to a full boil stirring constantly over medium heat. Boil for 5 minutes, stirring constantly. Remove from heat. Stir in chips until melted and mixture is smooth. Stir in vanilla. Pour into a 8×10 pan lined with foil. Allow to set at room temperature for 2 hours before cutting into small squares. Lily B loves helping me in the kitchen. Her job is to stir the fudge constantly and not let it burn. This entry was posted in Recipes and tagged candy, chocolate, Christmas, dessert, gluten free, holiday, printable, recipe card. Bookmark the permalink.